Have you been searching for the perfect pair of jeans? Dreaming of the perfect wash or those perfectly ripped and distressed boyfriend jeans that look so comfortably lived in? Finding a good pair that matches your personality and body type perfectly can be short of a nightmare. What if I tell you that Levi's is making it possible by setting up a free customization stall??? Yep, the most trusted name in denim set up a customization lab a few weeks ago where there brand ambassadors John James Uy, Brent Javier and Robbie Becroft shared their significant Levi's pieces, specially customized to fit their distinct personalities. During the event, guests were treated to a unique customization lab, where a team of designers, sewers, embellishment artists, and cutters were present to customize each piece according to their specific liking. Levis are a classic that can transcend generations. Now make it even more lovable by customizing a pair to your own liking to guarantee that it'l be your new favorite. Something you love so much, you can live in it everyday! 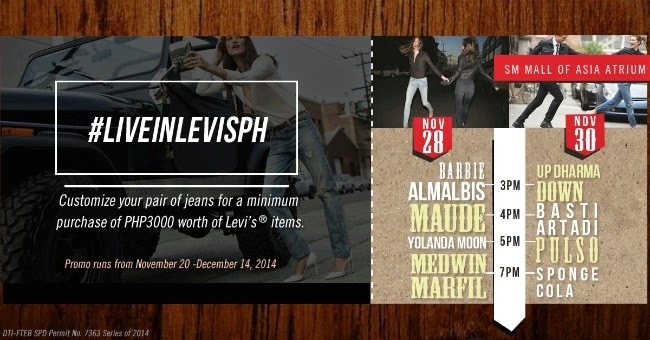 Drop by the SM Mall Of Asia Atrium from November 20 - December 14, 2014, spend at least P3,000 on Levi's items to get exclusive access to their customization lab! This is an event you'll definitely not want to miss! 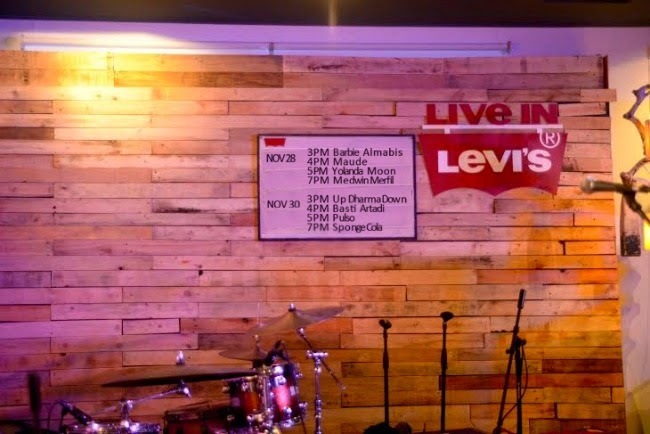 For more information about Live in Levi's, visit: Facebook.com/Levis.Philippines.